There are so many holidays to celebrate and while I enjoy going ALL OUT on some of them, I LOVE to simplify St. Patrick’s Day. I think it is fun recognize holidays and make them memorable for my kiddos, but that doesn’t mean I have to lose my mind in the process. 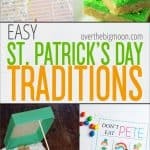 I’ve got a handful of easy St. Patrick’s Day Traditions that I like to incorporate into our festivities. Some years I only pick one tradition to do and other years I’ll do three or four! It honestly depends on how I am feeling and what I’ve got going on in life. No matter what I do though, I know that my kids love it and we create fantastic memories! My kids LOVE balloons! 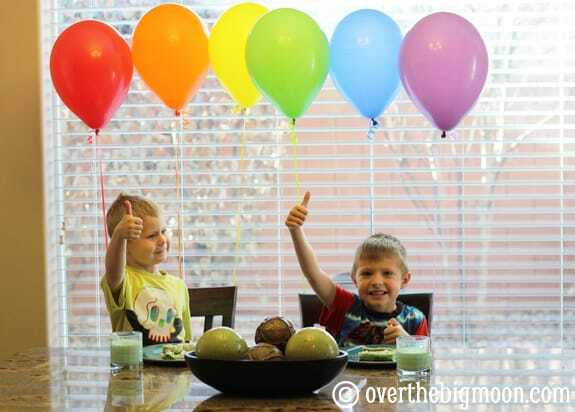 You could cover the ground in their room or the family room with green or rainbow balloons or even just tie a few on the back of their chair in the kitchen. I am planning on creating the balloon rainbow again – it has been a hit year after year! How cute is this picture from the first year I did it, back in 2012!! 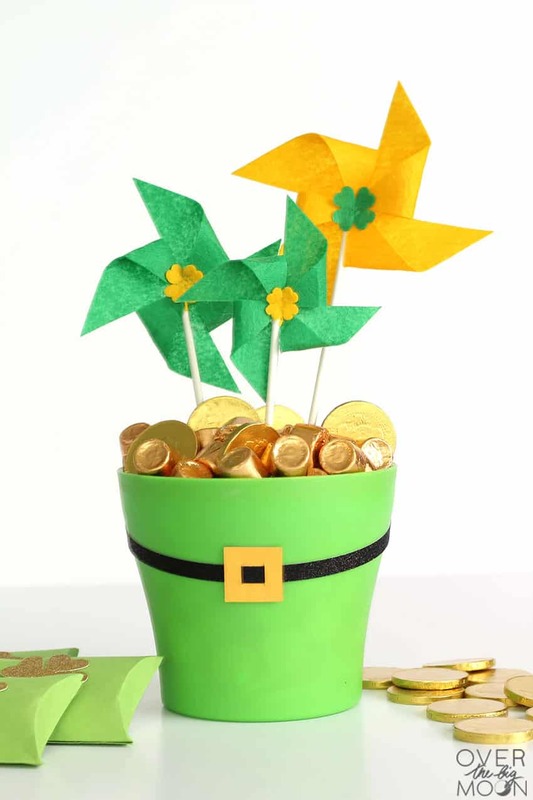 I also made this fun St.Patrick’s Day Centerpiece and Pillowboxes to have on the table when my kids came down for the day! 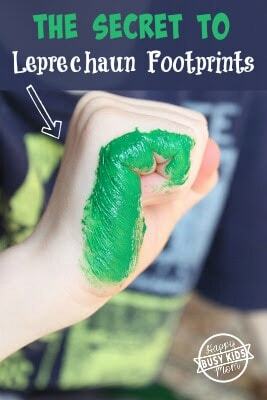 How about you make your food green for St. Patrick’s Day? This is an easy way to simply the holiday while still keeping it special. You can do one meal or try all of them. 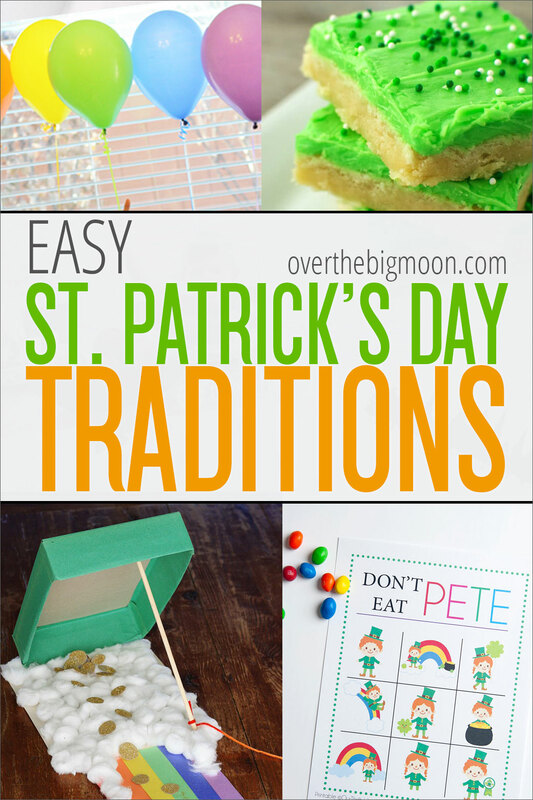 Check out my round up of 20+ St. Patrick’s Day Green Food Ideas! 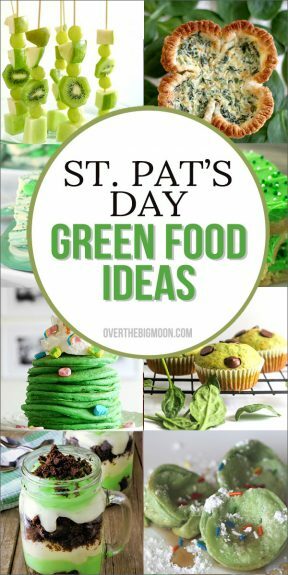 And if you don’t want to make all 3 meals green, then I suggest just making one treat that is green! I’d love to recommend my three favorite desserts! 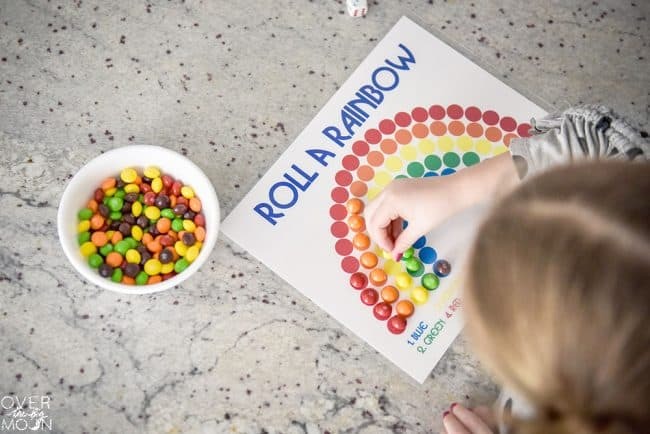 They are all easy and a great way to get the kids involved! My kids could seriously do games non-stop on holidays! 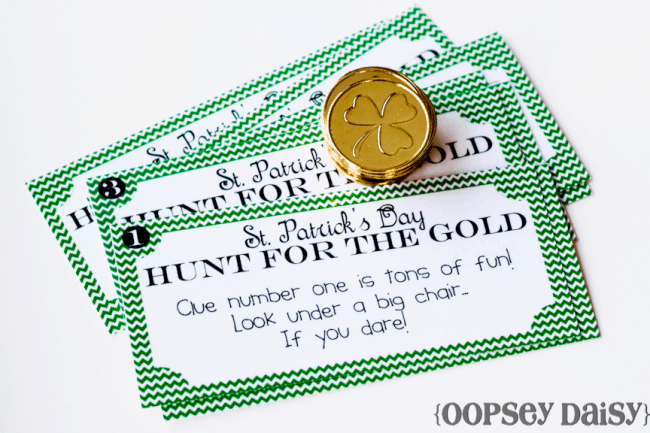 These game ideas are all free printables which means, all you need to do is download and print. Some do require some companion items, like Skittles or a candy. But, they still require very little prep! 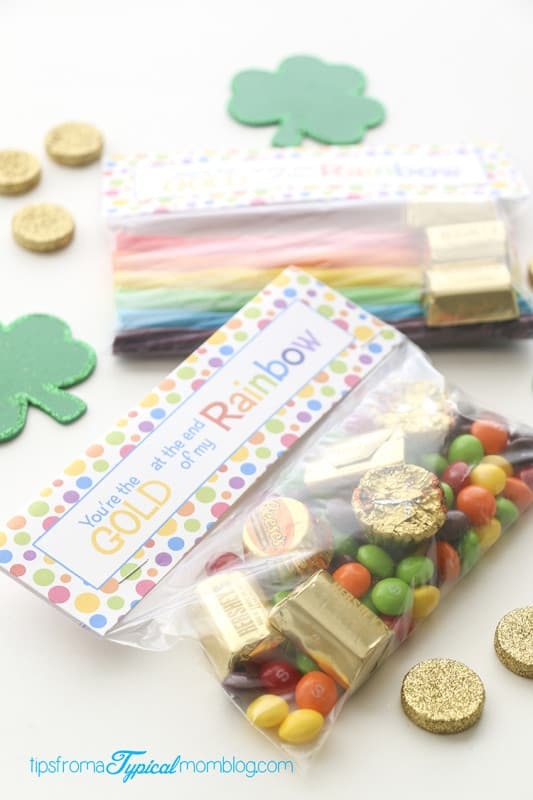 A simple little gift for you family, friends, or neighbors is a sure way to brighten up the day! We love to delivery little gifts to people in our neighborhood that have grown kids! They always get extra excited to receive something fun! 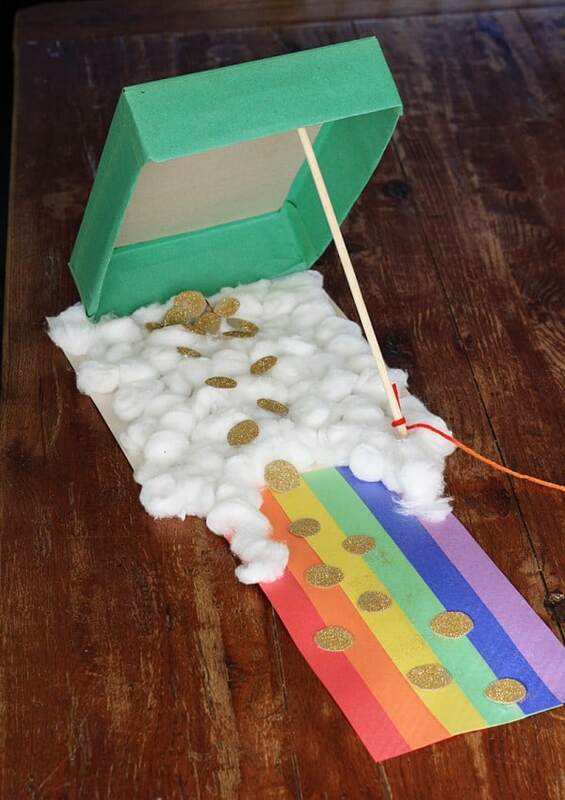 My kids could craft all day and building a Leprechaun Trap is one of the funnest things for them! This takes a little more time than some of the other traditions, but it always seems to be talked about year after year. I love all these fun traps that you can either copy or use for ideas! Before you panic and start telling me this one will take too much work, I promise these are SO simple to do! Some will literally require ONE step to complete. Have a fun and not exhausting St. Patrick’s Day everybody!! Don’t forget to pin the below image for later! How cute, I bet your kids get a huge kick out of all of this! For us we just wear green, so that we do not get pinched lol.